In preparation for the event, Hunter artist blacksmith Will Maguire has organised a community forging day on May 7 at his Elderslie workshop, near Branxton, for people to make hand-forged steel poppies that will become an integral part of the proposed memorial. September’s week-long forging event will involve more than 150 blacksmiths from countries including Russia, Japan, Palestine, Ukraine, Chile, America, Denmark, Canada, New Zealand, Australia and throughout Europe. It is being coordinated by the Belgium Guild of Blacksmiths and the British Artist Blacksmiths Association. As a journeyman blacksmith eight years ago, Will lived and worked in England with British smiths who are helping organise the memorial. They invited him to be Australia’s master to design a fence panel and lead a team in Belgium to build it. The cenotaph and surrounding memorial panels will be permanently installed adjacent to the German War Cemetery at Langemark Poekapelle, near Ypres. The simple seven metre high rectangular main structure featuring a stylised Flanders poppy will stand in a circular field of 2016 forged steel poppies that will be made all around the globe and be transported to the site. See the www.ypres2016.com website for more details. 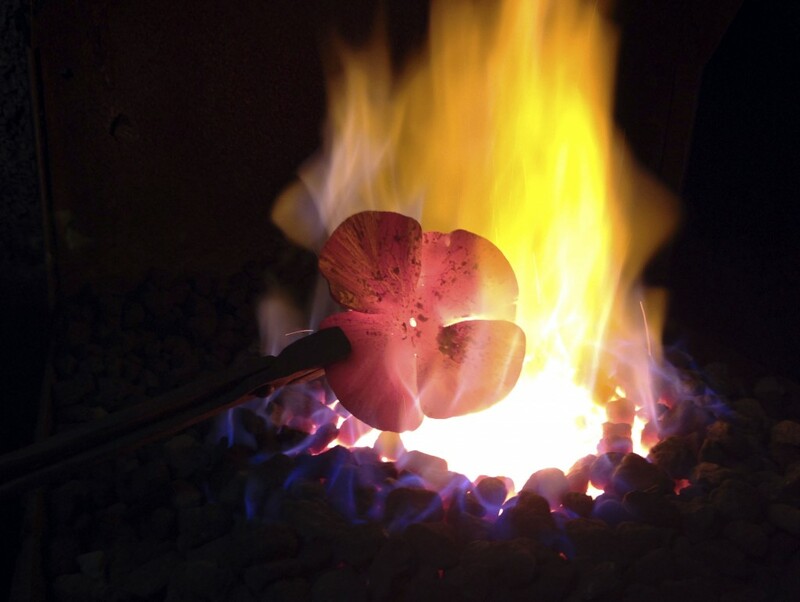 Poppy blanks are being generously supplied by the Artist Blacksmiths Association of NSW and international shipping is being coordinated by blacksmiths throughout Australia.